Has your PC slowed down? Is your PC taking a long time to boot? Is your PC low on disk space? Then it is time to tune-up your PC. 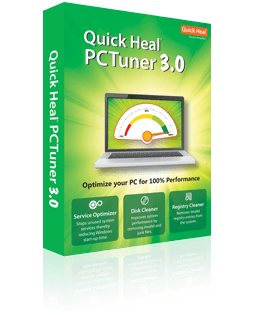 With Quick Heal PCTuner, you don't need to be a computer expert to improve the performance of your system. It helps you to optimize system performance by eliminating system clutter, and its user-friendly interface, makes it easy even for novice users to maintain their system’s performance at peak level!